This is the third of three organs in the chapels of the colleges of Oxford University that BOA members had the opportunity to hear & play earlier this year. 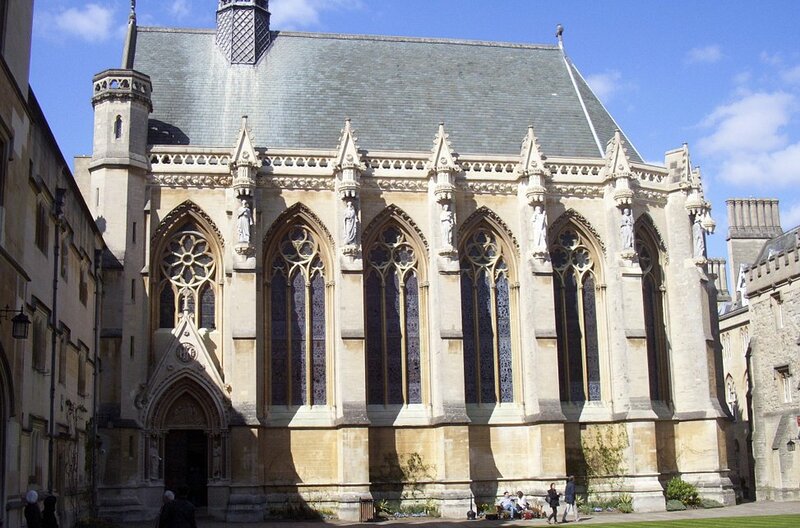 Those of Keble and The Queen's colleges have already featured as Organs of the Month (no.121 and no.136). 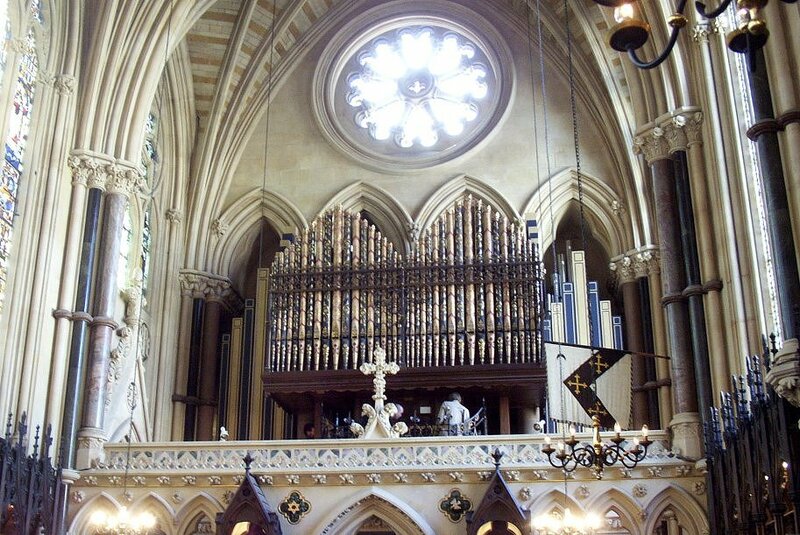 There is evidence of pipe-organs at Exeter College from the 16th century, but the present chapel (designed by Gilbert Scott, based on Sainte-Chapelle, Paris) acquired a 2-manual William Hill instrument when it was built in 1860. A Choir Division of five ranks was added by Hill & Son in 1892, and in 1966 Hill, Norman & Beard rebuilt it as a 2-manual with mutation stops and a larger Pedal Division. 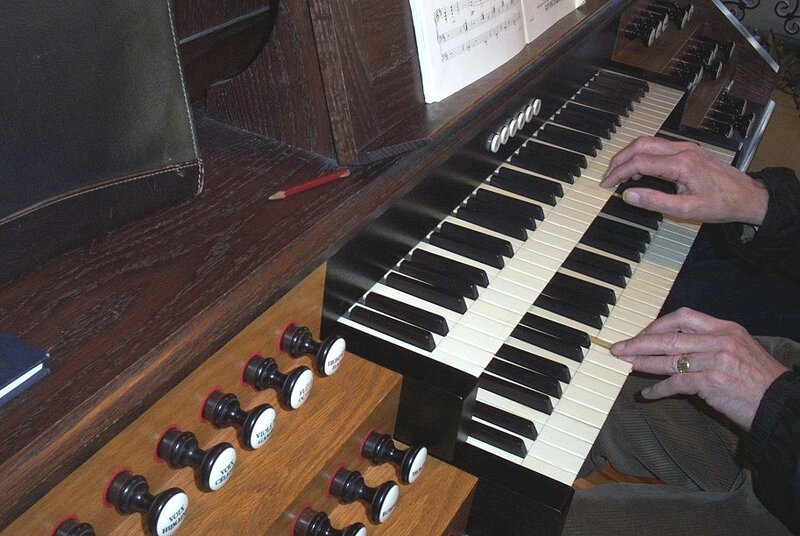 The present organ is an entirely new instrument by J W Walker & Son Ltd, completed in 1994, with David Sanger as consultant. It is situated on a west-end gallery. The decorated façade-pipes of the old organ have been retained, although they do not speak, but the tonal scheme and console are in the style of the famous French builder Aristide Cavaillé-Coll. There is mechanical key-action, electro-magnetic drawstop action and electronic combination action. The latter can be switched to provide either a modern-style multilevel combination system or a 19th century system with adjustable hitch-down pedals. The overall effect is unmistakably French - especially the devastating Pedal Bombarde.